In the grand list of Frontier improvements one has stood head and shoulders above the rest in terms of desirability. 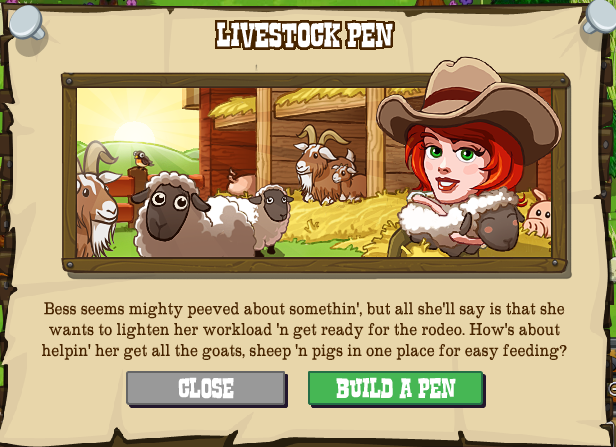 Whatever else has been released the one question has always been asked... "When are they going to let us have barns or pens to store our animals in?" Well, there's an answer to that. Now! Yes, they're finally here, animal storage! Once it's placed it'll need 5 whacks at 15 wood apiece and then finishing with 6 new building materials. The Pen Post, Pen Wire and Pen Trough are requested from walls, the Ben Bin and Pen Bucket from direct requests and then two Breeders Digests. As you can see, you can store goats, pigs and sheep inside the pen (up to 500 of each) in exactly the same way as storing chickens in the coops. 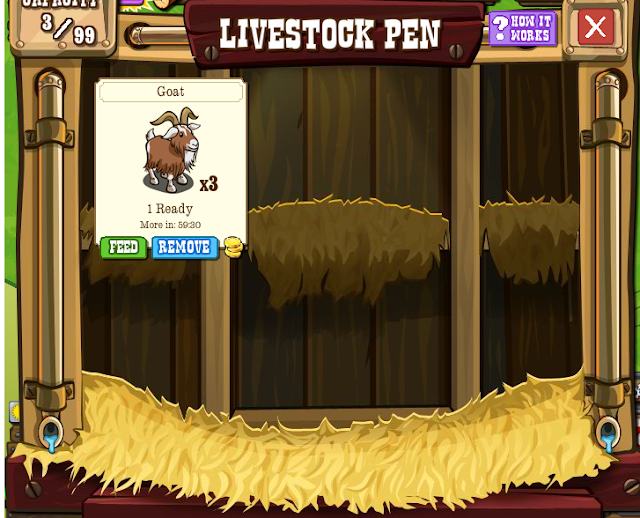 By using the store or move cursors any ADULT, goat, pig or sheep can be placed inside. Depending on what animals you have in there the Daily Bonus can even pop up rare versions of the animals as well! 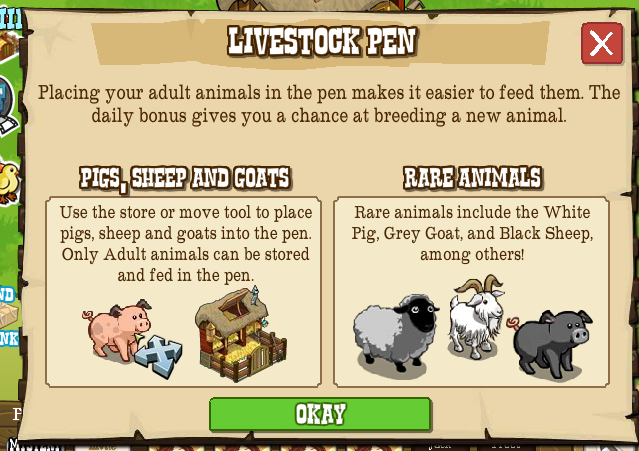 Once the animals are stored a feed/Remove/Sell mechanic is available when clicking on the Pen. Give us your thoughts on our Facebook Page!